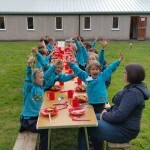 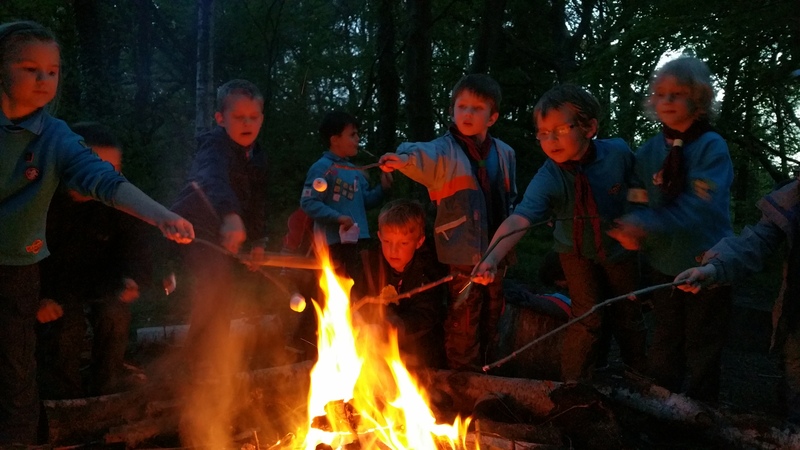 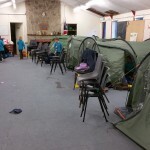 16 1st Normandy Beaver Scouts together with 2 Duke Of Edinburgh Award participants, 3 Adult Helpers and 3 leaders met at the Scout hut in Normandy for a Cowboy themed Beaver Sleepover over the weekend of 9th and 10th May. 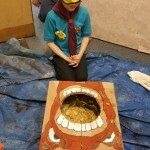 The Beavers transformed themselves into cowboys making sheriff badges, cowboy hats and horses before searching for gold following the clues around the surrounding woods. 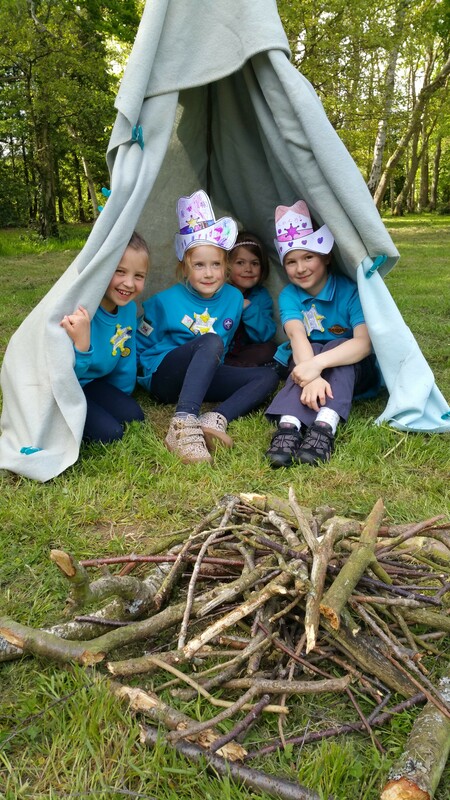 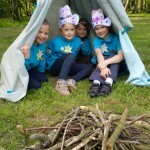 A wigwam camp was made before the Beavers tested their bravery skills by putting their hands into the mouth of the “Hungry ‘orse”. 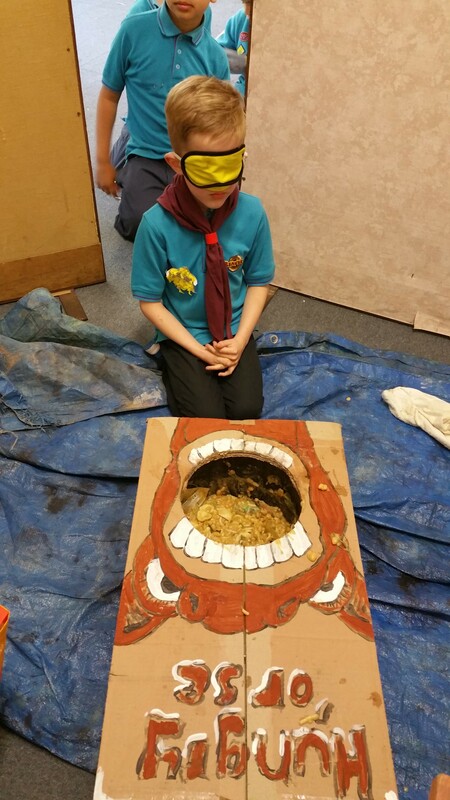 After a typical cowboy supper of baked potatoes, sausages, chicken drums sticks and vegetables followed by a fruit salad (the vegetables and fruit salad being prepared by the Beaver Scouts), the cowboys tested their coordination skills by beating open the horse piñata. 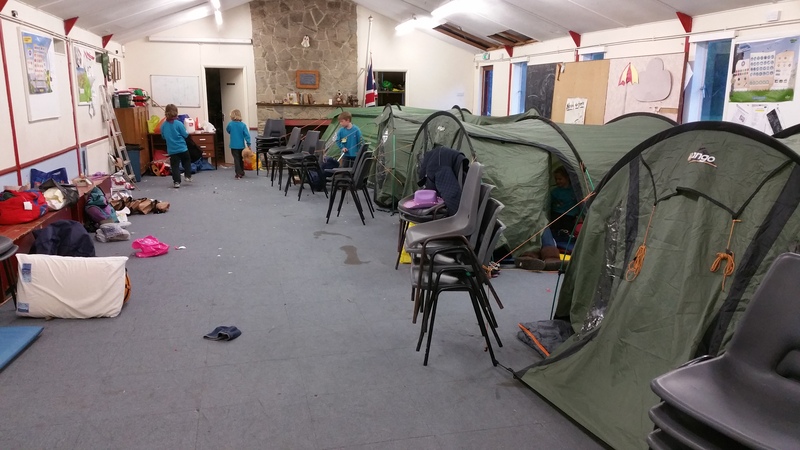 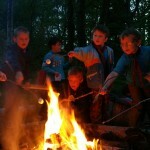 Tents were erected within the Scout hut and the sleeping quarters were arranged before we all headed out to toast marshmallows on the campfire and to sing a number of loud songs! 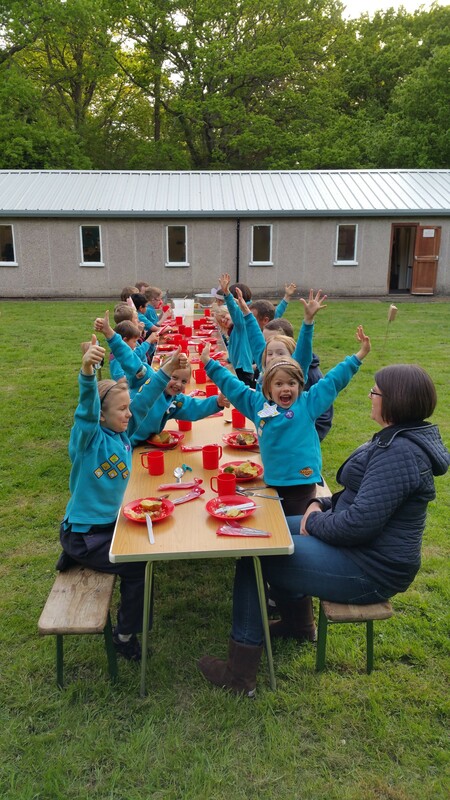 In the morning, after a bacon bap, the Beavers pinned the tail on ‘Neddy the horse’ before sleepover certificates and nights away badges were awarded.